As a professional trainer, you also have to undergo training to gain knowledge of the newest methodologies and techniques used in the training industry. Whether you are an experienced or a new trainer searching to widen or strengthen your training capabilities, this Train the Trainer training course from PD Training presents the most up-to-date trends and strategies on how to train people. This course will demonstrate how to become a facilitator of learning, not merely a presenter. You will build self-confidence, connect with your audience and leave your trainees admiring your training abilities. Always take note that the success and effectiveness of training largely depend on the qualities of the trainer itself. Hence, it is also vital that the trainer update and hone his or her skills. This Training the Trainer course provides participants an introduction to primary training and presentation skills like understanding the various elements of a competent training program: planning, designing, implementing, marketing, connecting and delivery. 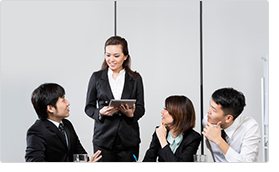 These fun, high-energy training courses are delivered by experienced professionals throughout Hong Kong, including Central. "I found the course was very helpful and informative. The Indigenous Cultural Diversity trainer was extremely helpful with his knowledge on indigenous training. I enjoyed his style of training. The trainer for "Making Live Training Lively" was very helpful and I also enjoyed her style of training. She was very switched on and spoke from experience. Julie was extremely informative, and made the training lively." "All of the lessons are very useful to me as I'm training the staff in our restaurant, it helped me to better understand about how to be a more effective leader and a trainer, motivate staff and lift their potentials."